Your students will learn all aspects of the authoring cycle, from selecting a topic to editing and sharing their work. 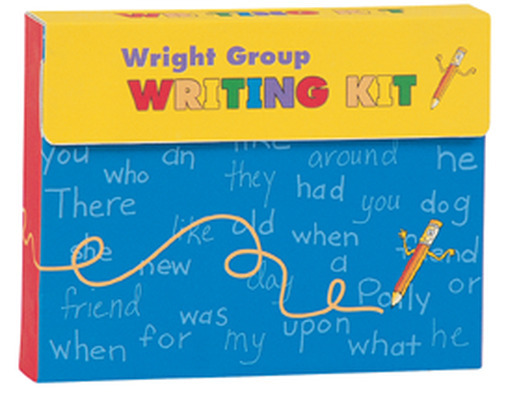 Wright Group Writing Kit gives students the strategies and practice they need to become lifelong learners and writers! Students develop a piece of writing by working through stages: preparing, writing, polishing, and presenting. Kits contain program overview and 55-77 lesson cards. Each card explains the different elements of the writing process. The cards can be used wherever they best supplement an existing writing program.